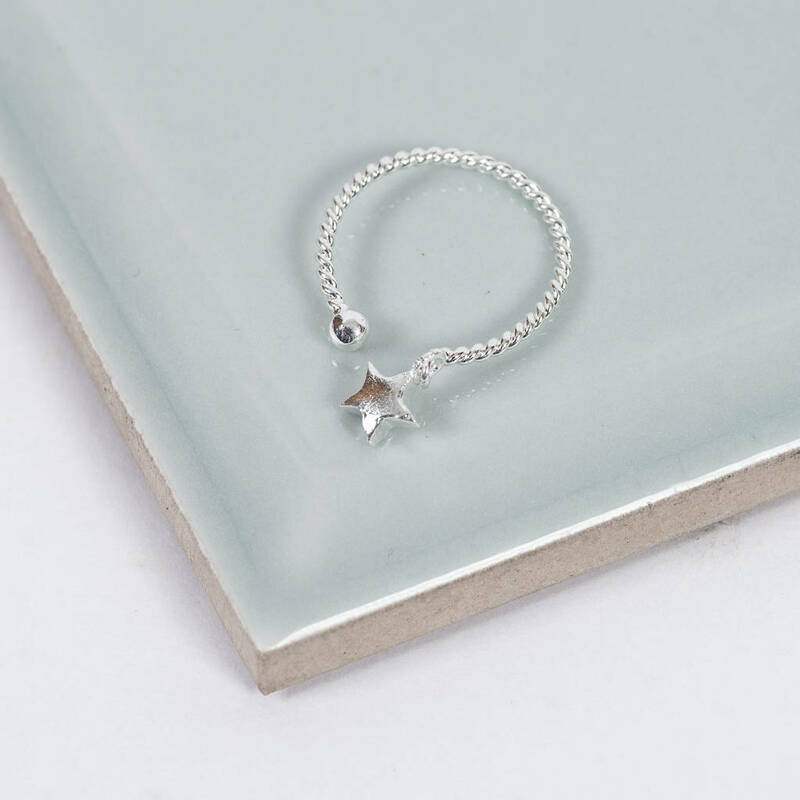 Two sterling silver bands hold a beautiful little silver star. Why wear one when you can wear three! 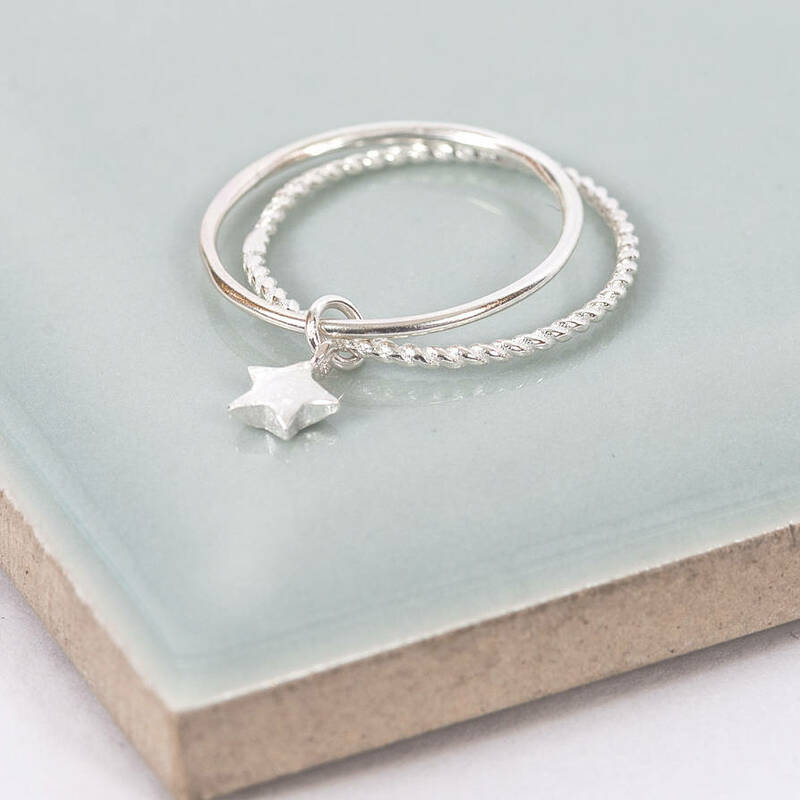 This lovely ring is also part of our Twinkle Little Star Collections which includes three unique midi rings all featuring a beautiful star. Twinkle Little Star Midi - Two sterling silver bands hold a beautiful little silver star. 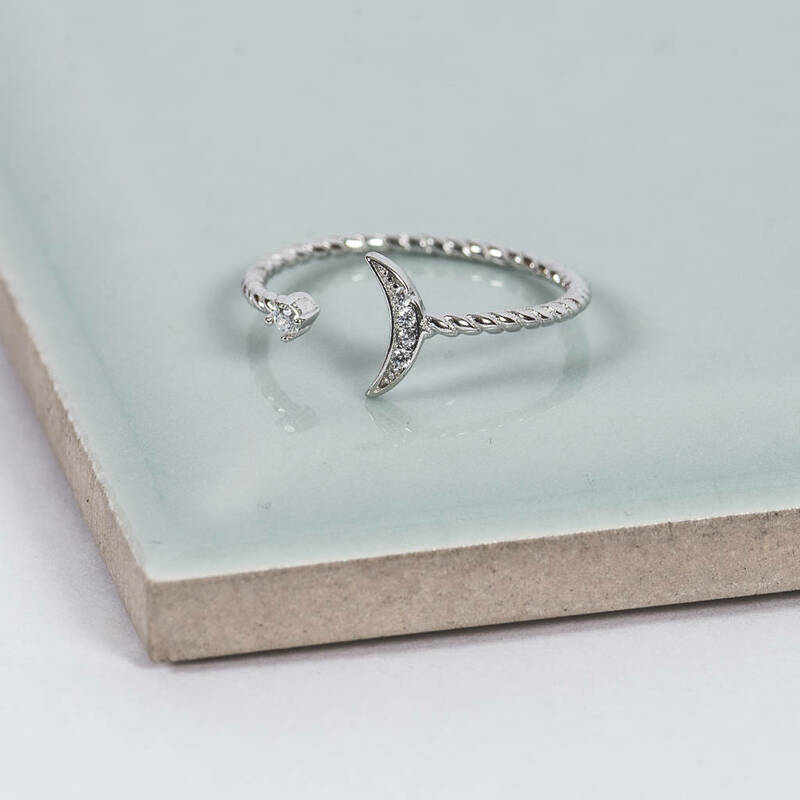 Catch a Star Midi - A twisted sterling silver band that has caught a fallen silver star. Twinkle Midi - The silver star and moon holds tiny rhinestones for an extra special twinkle. Choose from one, two or all three rings to complete the collection.